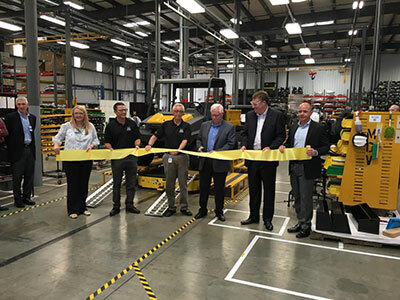 Hustler Turf Equipment is entering the utility vehicle (UTV) market with the addition of its Maximum Duty Vehicle (MDV). 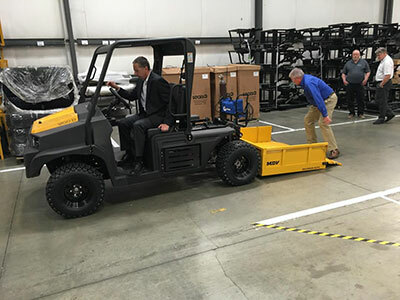 Designed for heavy-duty applications, the MDV features LeveLift, a cargo box that lets users lift up to 750 pounds from the ground and dump material from any point in its arc of motion. With a flip of a switch, the LeveLift brings the cargo box up, back and down, enabling loading at any point. Once loaded, the LeveLift brings the cargo box back up and into position on the MDV. The MDV will lift 750 lbs off the ground. The Hustler MDV features a Kohler Diesel engine with a 14-gallon fuel tank, continuously variable transmission (CVT) and power steering. The vehicle is available in a standard bed model or with LeveLift. The all-wheel drive MDV runs at a top speed of 37 mph and the vehicle has a total load capacity of up to 1,685 pounds. The Hustler MDV is now available at select independent dealers and will be on sale nationwide by the end of 2017.